A family owned and operated Belizean bar and restaurant located in the Belize City cruise ship port. The Wet Lizard Restaurant and Bar is a local landmark. Started 17 years ago with just a small deck and a few tables, this riverside bar has become a favourite of customers far and wide. The Wet Lizard has transformed with the times and as we gained popularity, we expanded. We now have a large open air bar on the pier and the original deck overlooking the mouth of the Haulover Creek. Laura started the bar with the intention to have a place for her friends to gather, drink beer and eat some good food and that is exactly what it has done. Over the past 17 years we have welcomed customers from all over the world who have then taken a little bit of the Lizard with them. Wet Lizard T-shirts have been spotted all over the world from Greece, to Vermont, to New Zealand and back to Belize City. If you haven't experienced the warm welcome that comes along with a drink at the Lizard then it is about time you find your way there. We are open whenever there is a cruise ship in port. Open whenever a cruiseship is in port! Cant make it to Belize? 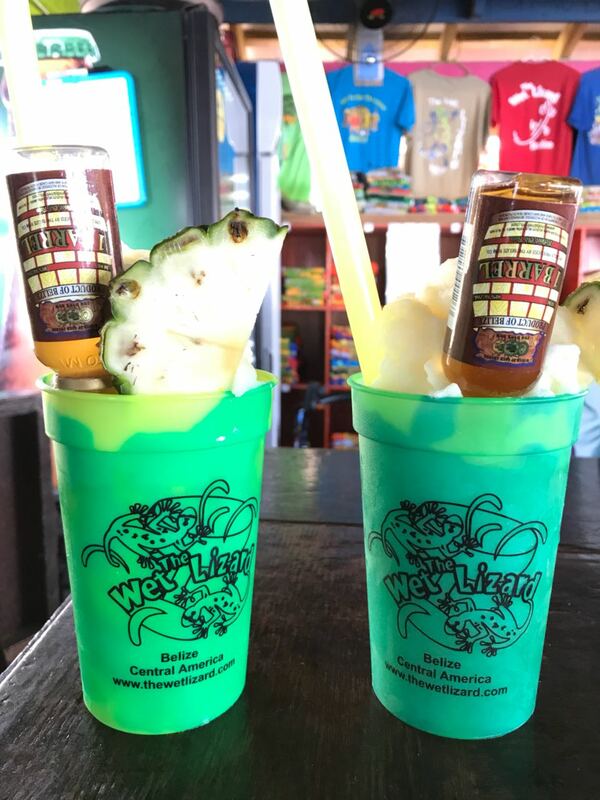 As of 2015, Laura and her husband Chip, decided to open up a sister location in Nassau, Bahamas. 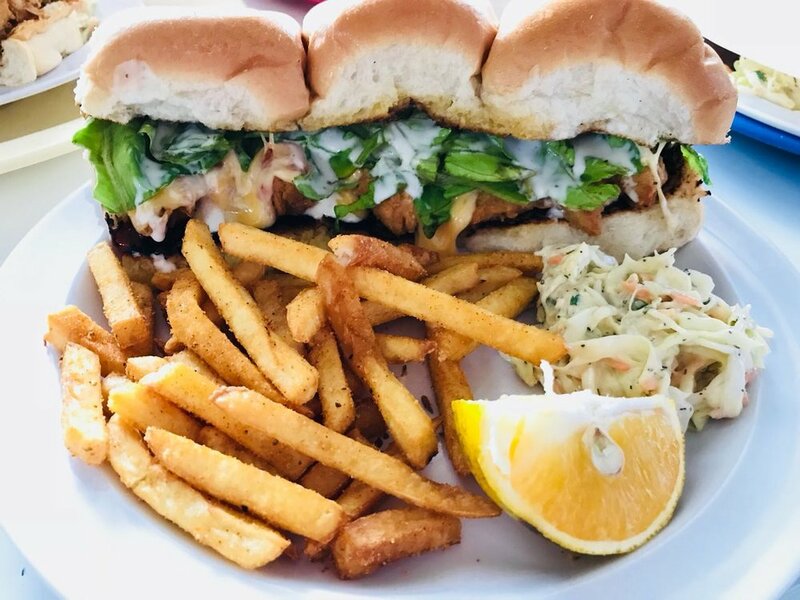 Stop by The Bearded Clam any day of the week and you will find the same warm welcome and Belizean inspired food.